Congrats, grad! Armed with a diploma and euphoria, you’re ready to take on the world! You’ve probably dreamed of this moment most of your life. You may have even planned it out. But even the best of planners can’t predict life after college graduation. A sad yet very real statistic from Newsweek claims that millennials made up 40% of unemployed folks in the US this past year. That’s millions of twenty-somethings living in their parent’s basements with no end in sight. So what ever is a cellar-dwellar to do? The job hunt can be intimidating- especially for someone who lacks experience and has no idea what they are looking for. The key to job hunting straight out of college is to consider all avenues of approach to get experience and gain skills to beef up your sparse resume. 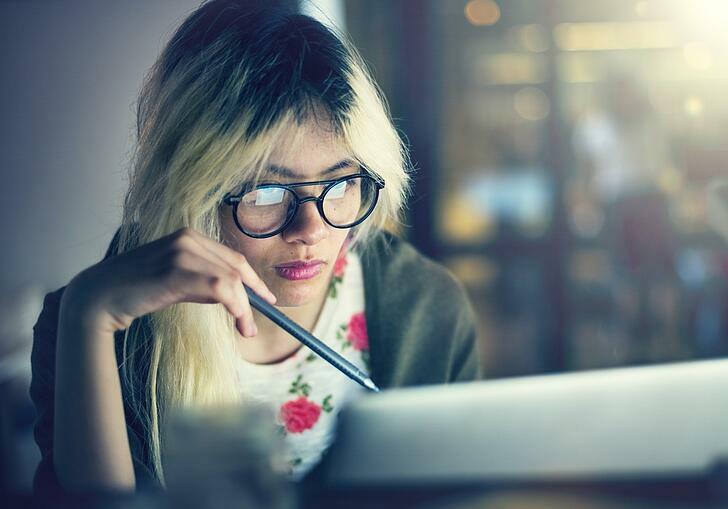 Read on for the best sites to find jobs for recent grads who are looking to make money, gain experience and add skills to their repertoire. One of the first things you should do after graduation if you haven’t already is to create a LinkedIn profile. LinkedIn boasts the largest professional networking site with 400 million members in 200 different countries around the globe. LinkedIn’s greatest feature is that it’s free to post a profile. LinkedIn profiles are extensive in nature and allow your connections to see more than a standard resume would. Add certifications, awards, groups that you are a part of and have connections vouch for specific skill sets you do have. A less-known section of LinkedIn is the LinkedIn Jobs page where users are able to search for a job by keyword, job title or even their company of choice. Using the advanced feature, users can filter by experience, pay grade and field. It’s a truly customizable and foolproof experience for the career novice. With endless internship and entry-level position possibilities, you could spend virtually all day searching on College Recruiter. But College Recruiter isn’t just another run-of-the-mill job site that boasts jobs further than the eye can see. This site also provides great value to college grads with a blog chock full of articles, videos and career advice geared towards millennials. With resume and interview tips and ways to land the job of your dreams, the resources section of this site is worth the read. If you’re not quite ready to hit the workforce just yet, College Recruiter also helps those that are seeking to continue their education. Want to make a bold move and start your own business? The site also offers business opportunities for those who are ready to make their mark on the world. And if you want to do something really different, you can also search an extensive list of international jobs as well. After College is one of the top-ranked job search sites for those just entering the workforce. With its easy-to-use website, it allows you to leverage your alumni status to make connections and build rapport with fellow alumnus of your university or college. The site features different colleges from time to time, but utilize the search bar to find your alma mater. There’s no easier way to make a connection and get your foot in the door than being directly linked to those that attended the same school as you and are currently in the workforce and looking to hire those that share the same . It’s simple to create an online profile and search for entry-level positions that are geared towards recent college graduates. With options running the gamut, the chances of finding somewhere and having a foot in the door with a connection are good. If you’re looking for a job that’s adventurous and out of the ordinary, then look no further than Cool Works. The site was developed by 8 people who crave adventure and the great outdoors. If you’re someone who enjoys spending time outside, then searching here is bound to give you plenty of job options. From Ski Resorts to National Parks, there is no shortage of really neat things to do. The site also has a section for news and updates where you can read about outdoor and adventure-related happenings. Cool Works is not for the faint of heart, and some travel may be involved, so proceed with caution. However, if you’re not certain what you want to do, searching here may ignite some passions you didn’t know you had. Speaking of igniting your passion, the Substitute Teacher Service has the ability to get recent college graduates, no matter the degree, into a classroom and working directly with people they have the ability to change the lives of. With schools hungry to have substitute teachers, and STS providing all training and certifications necessary to get the ball rolling, you can be teaching in no time. Substitute teaching isn’t a job just for recent college grads majoring in Education or a related field. If you’ve ever wanted to make a tangible difference and work in a fun and exciting environment, then consider substitute teaching. Navigate on this site to the job postings board, or if you have any questions, please contact us and we will be glad to help.